Enjoy downtown Minerva on foot or by bike on this 0.45-mile trail following the Sandy Creek from E. Lincoln Way to Stadium St. 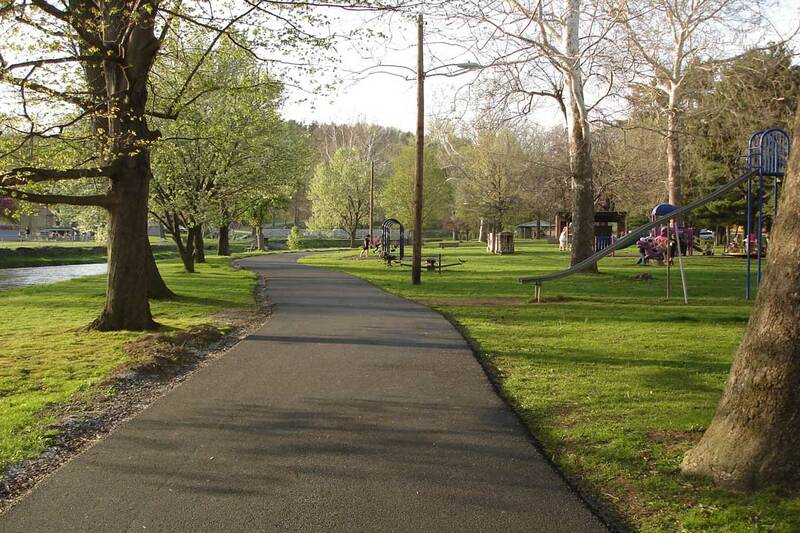 The trail takes you to the shelters, playground equipment, and tennis courts in Municipal Park and to Minerva High School. 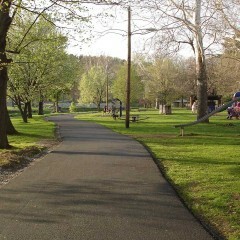 The Minerva Connector Trail traveling through Municipal Park.